Your Sleep Schedule May Affect Your Athletic Performance. 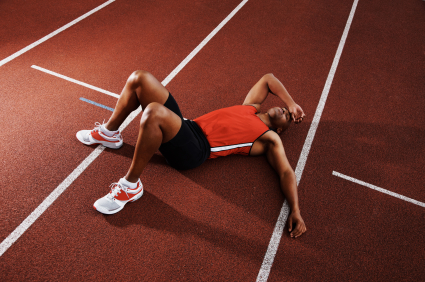 HomeEXERCISE AND FITNESSYour Sleep Schedule May Affect Your Athletic Performance. Not being in the best of shape physically and mentally, before/during an athletic performance may be linked to you not playing at the right time of the day - a new research suggests. In the new study, researchers analyzed the lifestyles of field hockey and squash players using detailed surveys and diary entries. Based on the athletes’ natural circadian rhythms, or internal clocks, the researchers classified those who naturally rise and sleep early as “larks,” those who do the opposite as “owls,” and the rest as intermediates. The scientists then conducted a cardiovascular fitness test six times a day on the players. As expected, the larks performed best around noon, the intermediates in late afternoon and the owls in the evening. Both peaked about six hours after they woke up. The owls, on the other hand, hit their sweet spot 11 hours after their day started, and their performances also fluctuated more in the course of a day — by as much as 26 percent. That’s because sleeping late may have delayed and reduced the owls’ production of cortisol, a hormone essential for muscle function, the researchers suggest. Because recruiting of adolescent athletes usually occurs during school hours, owls may miss their chance to shine simply because the timing isn’t right, the researchers suggest. The good news is that you can reset your internal clock through lifestyle adjustments — for example, by sticking to a regular wake-and-sleep schedule. So if you are a marathon runner, it pays to train yourself to be a lark(rise and sleep early), whereas football and soccer players may want to go the way of the owl((rise and sleep late).